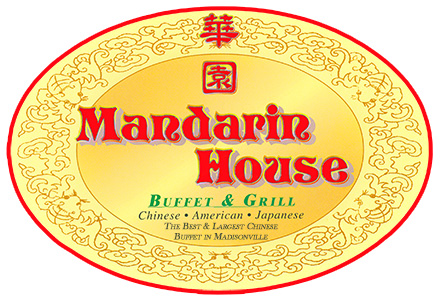 Online ordering menu for Mandarin House. Welcome to Mandarin House in Madisonville, Where you can experience a variety of authentic Chinese food at a reasonable price. Clean and comfortable atmosphere plus friendly service is our number one priority for our customers. Mandarin House offers All-YOU-CAN-EAT lunch & dinner buffet, including Sushi, Hibachi Grill, fresh salad, soups, appetizers, wild seafood, beef, chicken, pork, green vegetables and desserts. For Friday and Saturday dinner we also have the special seafood selection for you! We are located on the crossing of Nebo Rd and Main St, Next to the Harbor Freight. Order online now for carryout or delivery!